It saddens me to say it, but we are approaching the end of the automotive era. The auto industry is on an accelerating change curve. For hundreds of years, the horse was the prime mover of humans and for the past 120 years it has been the automobile. Now we are approaching the end of the line for the automobile because travel will be in standardized modules. The end state will be the fully autonomous module with no capability for the driver to exercise command. You will call for it, it will arrive at your location, you'll get in, input your destination and go to the freeway. On the freeway, it will merge seamlessly into a stream of other modules traveling at 120, 150 mph. The speed doesn't matter. You have a blending of rail-type with individual transportation. 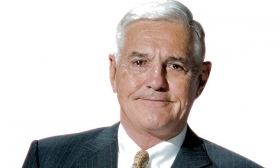 Bob Lutz is a former vice chairman and head of product development at General Motors. He also held senior executive positions with Ford, Chrysler, BMW and Opel. Then, as you approach your exit, your module will enter deceleration lanes, exit and go to your final destination. You will be billed for the transportation. You will enter your credit card number or your thumbprint or whatever it will be then. The module will take off and go to its collection point, ready for the next person to call. Most of these standardized modules will be purchased and owned by the Ubers and Lyfts and God knows what other companies that will enter the transportation business in the future. A minority of individuals may elect to have personalized modules sitting at home so they can leave their vacation stuff and the kids' soccer gear in them. They'll still want that convenience. The vehicles, however, will no longer be driven by humans because in 15 to 20 years — at the latest — human-driven vehicles will be legislated off the highways. 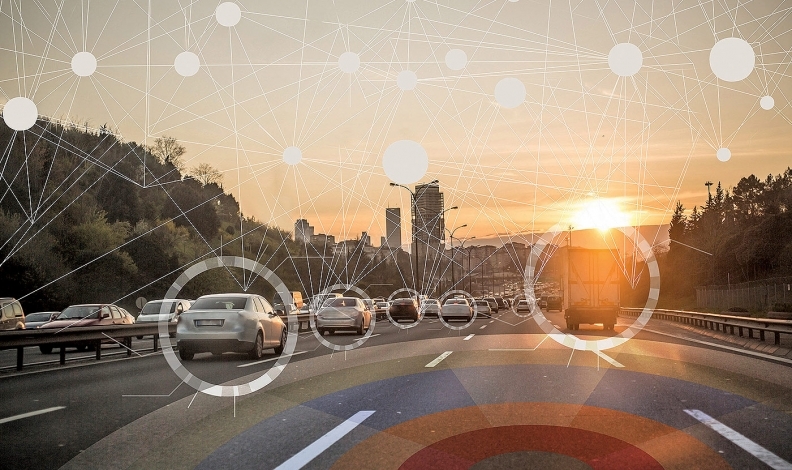 The tipping point will come when 20 to 30 percent of vehicles are fully autonomous. Countries will look at the accident statistics and figure out that human drivers are causing 99.9 percent of the accidents. Of course, there will be a transition period. Everyone will have five years to get their car off the road or sell it for scrap or trade it on a module. CNBC recently asked me to comment on a study showing that people don't want to buy an autonomous car because they would be scared of it. They don't trust traditional automakers, so the only autonomous car they'd buy would have to come from Apple or Google. Only then would they trust it. My reply was that we don't need public acceptance of autonomous vehicles at first. All we need is acceptance by the big fleets: Uber, Lyft, FedEx, UPS, the U.S. Postal Service, utility companies, delivery services. Amazon will probably buy a slew of them. These fleet owners will account for several million vehicles a year. Every few months they will order 100,000 low-end modules, 100,000 medium and 100,000 high-end. The low-cost provider that delivers the specification will get the business. These modules won't be branded Chevrolet, Ford or Toyota. They'll be branded Uber or Lyft or who-ever else is competing in the market. The manufacturers of the modules will be much like Nokia — basically building handsets. But that's not where the value is going to be in the future. The value is going to be captured by the companies with the fully autonomous fleets. These transportation companies will be able to order modules of various sizes — short ones, medium ones, long ones, even pickup modules. But the performance will be the same for all because nobody will be passing anybody else on the highway. That is the death knell for companies such as BMW, Mercedes-Benz and Audi. That kind of performance is not going to count anymore. In each size vehicle, you will be able to order different equipment levels. There will be basic modules, and there will be luxury modules that will have a refrigerator, a TV and computer terminals with full connectivity. There will be no limit to what you can cram into these things because drinking while driving or texting while driving will no longer be an issue. The importance of styling will be minimized because the modules in the high-speed trains will have to be blunt at both ends. There will be minimum separation in the train. Air resistance will be minimal because the modules will just be inserted into the train and spat out when you get close to your exit. Unfortunately, I think this is the demise of automotive retailing as we know it. Think about it: A horse dealer had a stable of horses of all ages, and you would come in and get the horse that suited you. You'd trade in your old horse and take your new horse home. Car dealers will continue to exist as a fringe business for people who want personalized modules or who buy reproduction vintage Ferraris or reproduction Formula 3 cars. Automotive sport — using the cars for fun — will survive, just not on public highways. It will survive in country clubs such as Monticello in New York and Autobahn in Joliet, Ill. It will be the well-to-do, to the amazement of all their friends, who still know how to drive and who will teach their kids how to drive. It is going to be an elitist thing, though there might be public tracks, like public golf courses, where you sign up for a certain car and you go over and have fun for a few hours. And like racehorse breeders, there will be manufacturers of race cars and sports cars and off-road vehicles. But it will be a cottage industry. Yes, there will be dealers for this, but they will be few and far between. People will be unable to drive the car to the dealership, so dealers will probably all be on these motorsports and off-road dude ranches. It is there where people will be able to buy the car, drive it, get it serviced and get it repainted. In the early days, those tracks may be relatively numerous, but they will decline over time. So auto retailing will be OK for the next 10, maybe 15 years as the auto companies make autonomous vehicles that still carry the manufacturer's brand and are still on the highway. But dealerships are ultimately doomed. And I think Automotive News is doomed. Car and Driver is done; Road & Track is done. They are all facing a finite future. They'll be replaced by a magazine called Battery and Module read by the big fleets. The era of the human-driven automobile, its repair facilities, its dealerships, the media surrounding it — all will be gone in 20 years. The companies that can move downstream and get into value creation will do OK. But unless they develop superior technical capability, the manufacturers of the modules, the handset providers, if you will, will have their specifications set by the big transportation companies. The fleets will say, "We want a module of a certain length, a certain weight and a certain range." They will prescribe the mileage and the acceleration and take bids. 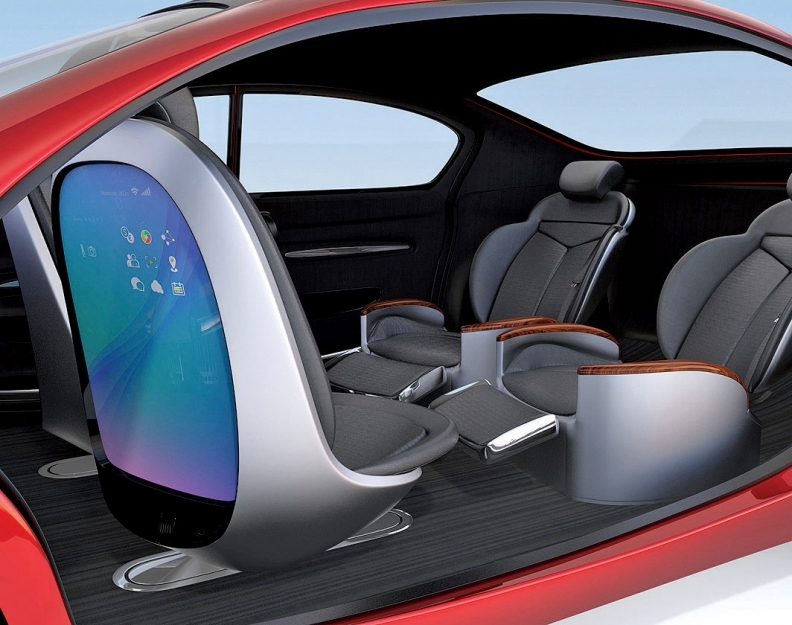 Automakers, if they are smart, may be able to adapt. General Motors sees the handwriting on the wall. It has created Maven and has bought into Cruise Automation and Lyft. It doesn't want to be the handset provider. It wants to be the company that creates the value and captures the value, and it is making the right moves to be around when the transition occurs. I think probably everybody sees it coming, but no one wants to talk about it. They know they will be OK for a few years if they keep providing superior technology, superior design and have good software for autonomous driving. So for a while, the autonomous thing will be captured by the automobile companies. But then it's going to flip, and the value will be captured by the big fleets. This transition will be largely complete in 20 years. I won't be around to say, "I told you so," though if I do make it to 105, I could no longer drive anyway because driving will be banned. So my timing once again is impeccable. Why are disruptors dangerous? They aren't protecting a business model.